Plenty of the people are suffering from plantar fasciitis. It causes serious problems if left untreated. There are shoes that are specially designed to reduce pain due to plantar fasciitis. Tired of trying them all? In spite of several advertised products only a few helps to relieve your pain and the others makes the pain grow more.To help you, we have cautiously chosen a list of the best shoes for plantar fasciitis. This article has been divided into two parts as the shoes are available for both the genders. The first part features the best shoes for men whereas the latter features the shoes for women. We prefer you to opt for a walking shoe to serve the better purpose. Even though it does not look professional and other, it is the best bet when it comes to healing pain. So, we have made it as a priority apart from the other models. Who gets affected with plantar fasciitis? How to confirm that it is plantar fasciitis? What are the treatments provided? 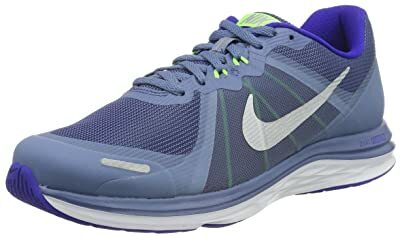 What to look for while buying this type of shoe? Plantar fasciitis is a problem which causes the thickening of the band of tissue called plantar fascia that lies underneath the sole of the foot.This does not occur all of a sudden. It may be due to an injury or damage in the foot that happened recently or because of the unhealed injury that occurred long ago. This is a problem which is more common in women than in men. It also occurs due to aging. 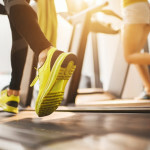 Apart from this, they are caused in people who are obese and having overweight, by increasing the intensity of the exercise suddenly or by trying a new form of exercise. It can also occur in a person who stand for a long period of time or with a person who has arthritis or lupus. One of the major reasons for the women to get this problem is by shifting to high heels,wearing shoes that have become old without proper support. It also happens in women with flat feet or to those who walk in a wrong position and to those who have tight Achilles tendons. The major symptoms include the pain in the center or heel part of the foot.In general, it can be identified with the onset of pain in the heel as soon as getting up from the bed in the morning. It can be identified if the pain is caused when you try to stand up after a long period of sitting or after an activity with improper shoes. It occurs as a pain only in the area of the foot where an excess pressure is applied and not in the complete area of the foot part. It is better to seek medical help as soon as you feel the symptoms.The physician will diagnose the problem by pressing the foot area where you undergo excessive pain. He may also ask you to take an X-ray if he feels it difficult to diagnose accurately.You may be advised to avoid exercise at the beginning. There are various treatments available for treating plantar fasciitis. Your physician may ask you to undergo any one of these treatment options. He may ask you to wear a heel pad so that the cushion provided in it helps in healing the pain caused by the heels. He may also to advise you to wear a custom made orthopedic shoe for preventing certain imbalances while walking. Performing stretching exercises up to five times a day can help you reduce the problem by elongating the heel cord. In certain cases, patients are asked to place an ice pack to the heel or to use an ice block to massage the painful area at night before going to bed every day. You may be provided with several doses of pain relievers which are non-steroidal anti-inflammatory drugs such as ibuprofen as they are considered to reduce the pain. It helps in holding the foot at proper position at a certain angle thereby preventing the plantar fascia from becoming short during sleeping. It is prescribed to reduce inflammation and helps in healing the pain. These are injections which are injected directly into the feet tissue and helps reducing pain temporarily. But, if used regularly for many times, it may lead to severe complications such as shrinking of the fat pad of the heel. You may be prescribed to wear a walking cast for about three weeks duration to ensure that your foot stays in a proper position and unstretched. It is recommended for persons suffering from this problem for a longer period of time which is unresponsive to any other treatments. If the problem persists for more than six months you may proceed to perform a shock wave therapy prior to a surgery. It is a simple process which uses a high-intensity shock wave to stimulate healing. If the problem persists even after all these treatments the person is recommended to perform a surgery to get healed completely. Active adults experience heel pain by wearing the wrong type of shoes. The incorrect shoes will not support the arch and contribute over pronation which will lead to heel pain. The people who are most likely to overpronate are those who are obese, diabetic and obese because their heel bears a lot of stress. Such persons should use specialized shoes to avoid pain. The shoes which are soft will not support them, so they should prefer the shoes with arch support. The major factor to be considered while buying the shoe is the level of over-pronation and the type of activity you are going to do. Active people like runners with flat feet have over pronation and they should use motion control shoes to control over pronation. If you have a higher level of overpronation, then you should select the shoes with higher pronation control technology. Maximum over pronation is given by the motion-free shoes and so they are prescribed for athletes. This shoe provides improved cushioning and support to reduce the strain on the heel and plantar fasciitis. Selecting correct shoes according to activity is also important. Experts have designed appropriate running shoes for running, tennis shoes for tennis and so on. The shoe chosen should be flexible for the user. Check the flexibility of the shoe by holding it from the heel to toe and try to bend it. If the shoe offers a little resistance, avoid buying the shoe. The proper shoe should bend very gradually. Next thing to look in a shoe is an elevated heel with a rocker sole. The heel of the shoe should be about 1-inch high which supports in shifting the weight of your body. The shoe should rock forward with a rolling motion. If the rocking capability of the shoe is high then it will be easy to heal your plantar fasciitis. Avoid the shoes that have neutral or flat heels. The shoes should have adequate cushioning to absorb the impact when your heel is on the ground. 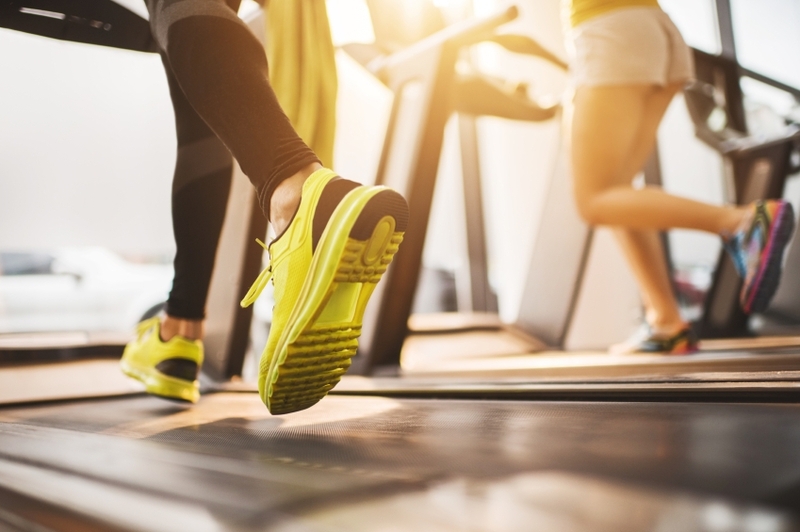 The common shoe brands that are used for plantar fasciitis are Brooks Vapour, Asics GT-2170, Asics Kayano and new balance motion control shoe. For women, the WR1012 Nbx running shoes are recommended. Here is a list of shoes that will be useful for you to choose the best shoes for plantar fasciitis. 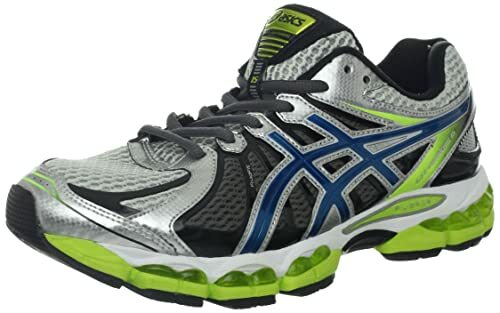 Below is a table which lists down four best models of Plantar Fasciitis shoes for men which have been rated as the top 4 and considered as comfortable for all types of foot. The majority of customers are satisfied with this shoe because of its unique features. It is made of polyester. The shaft measures approximately 2.75” from the arch. It is a lightweight product and is perfect for all kinds of people. The midsole is made of gel cushioning system which softens your feet. It is available in different colors. The biomorphic fit is provided in the upper lining which provides comfortable lace-up closure. 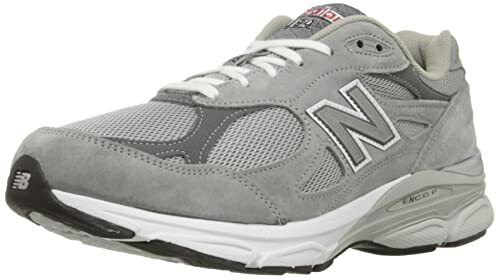 It is highly recommended for the people who are suffering from plantar fasciitis.The color of the shoe is a combination of white and gray. The material of the shoe is made of leather and fabrics. 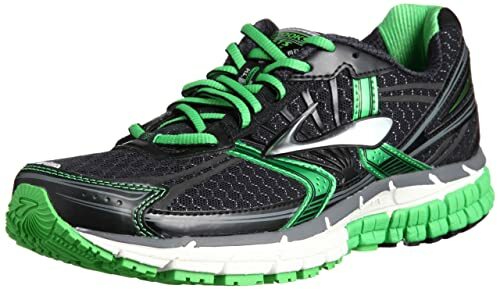 Its upper lining is of leather and fabrics, which provide dual-density and make it the perfect choice for best running shoes for plantar fasciitis. The forefoot of the shoe is made of blown rubber to provide the lightweight cushion to your feet. The shoe plays a vital role in relieving you from plantar fasciitis. Pros: Reflective detailing, Dual density collar and padded tongue,Lightweight cushioning. The color of the shoe is a combination of gray, yellow, white and black. Its upper layer is made of flex film welding.The collar lining is made of hydra MAX and it helps in moisture-wicking. It is specially designed to have a power grid technology to provide enough cushioning to your feet. It softens the feet thereby keeps your feet always fresh. 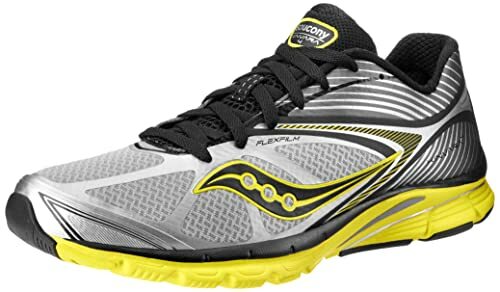 One of the best running shoes for plantar fasciitis. Pros: HydraMAX Moisture wicking collar lining,Power Grid technology,High abrasion EVA midsole ,XT-900 carbon rubber traction outsole. The shoe is made of synthetic. 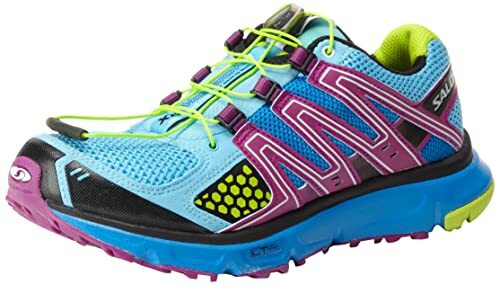 The specialty of the product is the brooks DNA cushioning technology which helps to provide cushion and balance for each step.The adrenaline shoe softens your feet in an effective manner. 3D fit print provides enough flexibility to your feet. It is a lightweight shoe and can be worn easily by anyone. The color of the shoe is a combination of silver, violet, black and white. The lace of the shoe is black in color. Pros: BROOKS DNA cushioning technology,Brooks Biomogo biodegradable midsole,Optimal cushioning balance,Promising stability. 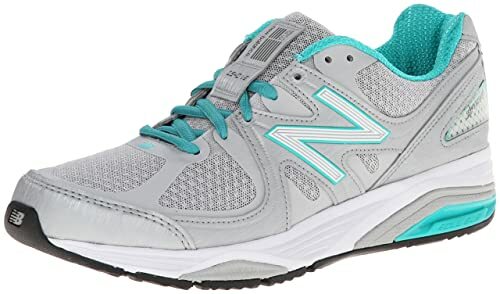 Below is a table which lists down four best models of Plantar Fasciitis shoes for women which have been rated as the top 4 and considered as comfortable for all types of foot. It is considered as the best shoe for plantar fasciitis. It provides enough flexibility to your feet and thus,you can speed up the walking or running process with no risk. It is made of leather and mesh while the sole is made of rubber. The cushioning provides softness and comfort to your feet and helps in speeding up the physical activities like running, walking, etc. The color of the shoe is a combination of black, metallic silver, and pink. XR Mission is a highly recommended shoe for plantar fasciitis. It is light weight and provides you great flexibility. Its design helps to heal your plantar fasciitis. It is a breathable one and helps to reduce the excess moisture. Foam footbed plays a vital role in preventing the friction and provides better comfort to your feet. The color of the shoe is a combination of pop green, papaya and celadon. The heel measures approximately 1.25” and platform up to 1”. Adiprene is provided in the forefoot and it helps to improve the efficiency to your feet. It is made of the best quality material and thus, it is considered to be the durable product. 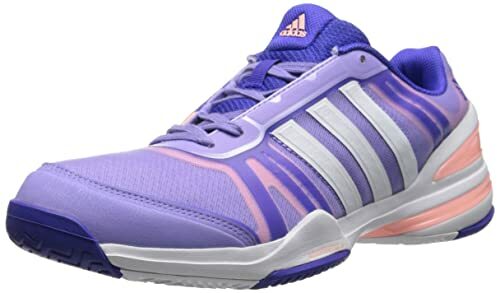 The customers are happy with the shoe as it reduces the irritations of plantar fasciitis.Its color is a combination of bold pink, white and tribe berry. W1540V2 is made up of synthetic material. It is a US product. The sole is also made up of synthetic. Presence of breathing mesh panels and ddual-densityfoam collar helps in providing extensive support and makes the feet breathable. The heel to toe drop is up to 10 mm.The ROLLBAR at the lateral and the medial rearfoot ensures stability. As this is an orthopedic shoe it can be used for reimbursement using the code A5500. It has no-sew material application. Pros:Reflective detailing, Dual density collar and padded tongue,Lightweight cushioning. Literally,there are no certain ways to prevent them,but it can be controlled by reducing the overweight, by wearing comfortable shoes. Maintaining care while performing heavy exercises. Consider reading our other articles on best shoes for plantar fasciitis and the ways of choosing a shoe to treat it.